For the fourth year in succession, a one day workshop on Bird Monitoring in Kerala was held at Centre for Wildlife Studies, College of Forestry, Kerala Agricultural University, Thrissur on 12 June 2017 . 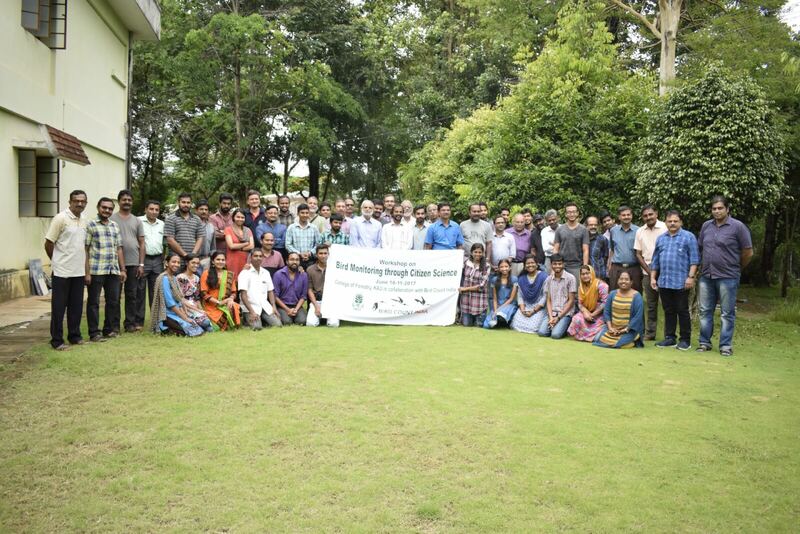 About 100 birdwatchers and nature enthusiasts, representing various organisations in Kerala participated in the workshop. Participants from Kerala represented Cochin Natural History Society (CNHS), Malabar Natural History Society (MNHS), World Wide Fund for Nature – Kerala (WWF), Bird Count India, Nature Conservation Foundation (NCF), National Centre for Biological Sciences (NCBS), KeralaBirder, Birdwatchers of Kerala, Hume’s Centre for Ecology & Wildlife Biology, College of Forestry, Kole Birders, Birders Ezhupunna etc. Discussions were centered around execution of Kerala Bird Atlas and other monitoring activities. Bird atlas surveys completed in ~50% of Kerala state. Atlas surveys conducted in 9 districts of the state. Project on track. Kannur Bird Atlas surveys 100% completed – bird atlas book release in Kannur planned during Wildlife Week (October 2017). 50% of Forest sub-cells to be covered along with forest surveys in wet and dry season in 2017-18 (rest in 2018-19). Representatives from four districts (Kasaragod, Malappuram, Kottayam & Kollam) confirmed survey plans for 2017-18. Great Backyard Bird Count (GBBC) / Onam Bird Count (OBC) / Endemic Bird Day (EBD) hailed as excellent recruitment programmes. Results till date consistent. Importance of relevant documentation in eBird stressed. Heronry Counts in 2016 executed in seven districts. Report under preparation. Heronry protection programme started in Kannur district. Pelagic surveys feeble in 2016-17. Strategy relook needed. AWC surveys conducted in most districts. Focus for next years discussed. Bird Atlas surveys for the forests in seven districts in 2017-18 covering 14 wildlife and forest divisions. Bird Atlas surveys for the non-forests in four districts in 2017-18. 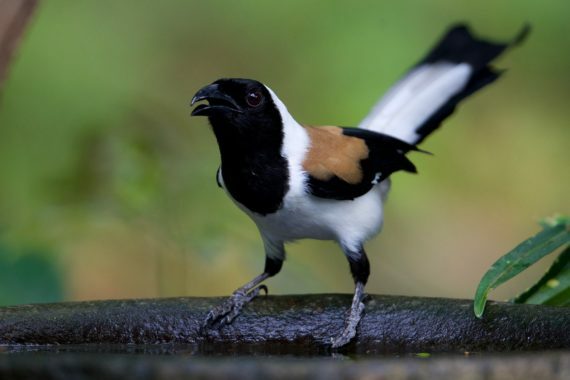 Kerala Bird Atlas Protocol modified for non-forests with minor changes. Forest department (wildlife as well as social forestry) keen to be involved in atlas surveys. Contacts to be established for support and collaboration in all districts. Pursue birding outreach actively during public events ike CBMP & OBC. Pelagic surveys in current model not scale-able. Actively pursue collaboration with scientific bodies focused on marine research. AWC eBird protocol to be stressed better so that coordinators use it correctly for submission. See details of the 2016 Workshop. See details of the 2014 Workshop.